See You at the Capitol Wednesday? Come to the Capitol on Wednesday! We hope to see many of you at the State Capitol on Wednesday for Pro-Life Day at the Capitol ! We will have some powerful adoption testimony in the House Health & Welfare Committee in the morning, so you will not be disappointed! It is a great chance for you to visit your legislator and share your pro-life commitments while at the Capitol. 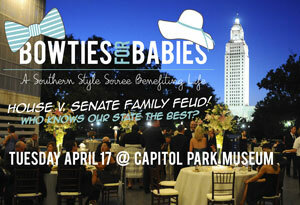 I also hope you can buy a ticket or two to our Bowties for Babies Soiree scheduled for Tuesday, April 17 in Baton Rouge. 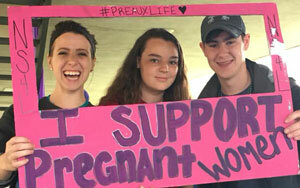 This is a great way for you to support Louisiana Right to Life's life-saving outreach to mothers considering abortion. It will be a fun night, as we will host the first-ever "House vs. Senate Family Feud"! Pro-Life Day at the Capitol is Wednesday! 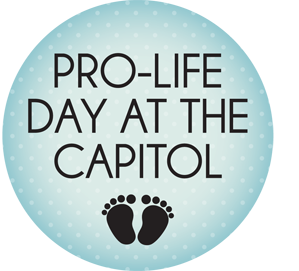 Join us Wednesday for Louisiana Right to Life's Pro-Life Day at the Capitol. There will be pro-life agency booths in the Capitol Rotunda, and it’s a great time for you to interact with your legislators from home. The House Health and Welfare Committee with hear four abortion-related bills that morning, with a focus on testimony about how the "Adoption Option Act" provides women with proactive information to choose the beauty of adoption over the trauma and violence of abortion. House vs. Senate: Who Knows More About LA? Which chamber of the state Legislature knows more about Louisiana? Find out at the first House vs. Senate "Family Feud" face-off during Bowties for Babies: A Southern Style Soiree Benefiting Life on Tuesday, April 17. Each "Family Feud" team will include three Legislators, and questions will focus on Louisiana trivia. Who do you think will win? Have you signed up to participate in the first Acadiana Life Fest 5K yet? It's not too late, but deadlines are approaching! Even if you don't want to run/walk in the 5K, plan to attend the festival on April 21 in Lafayette. 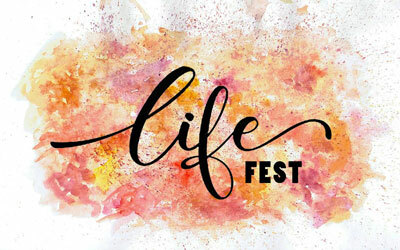 This will be a pro-life, family-friendly celebration that will include live music, food, booths, activities for children and more! Start preparing now for this year's second Poo-Dat Diaper Drive for families in need April 25 through May 1! Last year's inaugural event was a huge success with more than 13,000 diapers donated. This year new collection sites have been added in the Greater New Orleans area as well as in Baton Rouge, and we hope to increase the number of donated diapers! The Louisiana Right to Life Youth Programs team conducted a successful Covington PULSE Immersion Weekend earlier this month! 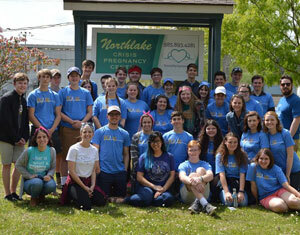 The group was 40 strong, and students participated in a number of pro-life learning sessions and games at Bocamb Farms and traveled off site to visit the Northlake Crisis Pregnancy Center. 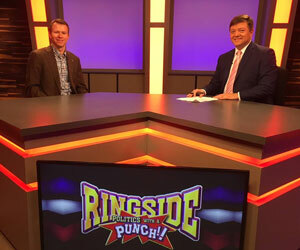 Director Benjamin Clapper enjoyed talking legislation and the local documentary I Lived on Parker Avenue with Jeff Crouere on Ringside Politics with a Punch , which aired twice over the weekend on WLAE-TV in New Orleans. The episode will soon make its way to Crouere's YouTube Channel. 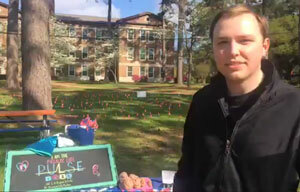 Congratulations on a job well done to the pro-life club at Louisiana College, which recently held a Cemetery of the Innocents event to bring attention to the abortion crisis in our country. Youth Programs Co-Director Alex Seghers had a great time chatting with youth and spreading the pro-life message at the 2018 Abbey Youth Festival held recently at St. Joseph Abbey!